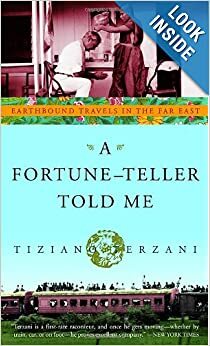 A Fortune-Teller Told Me: Earthbound Travels in the Far East by Tiziano Terzani: A round the world overland memoir with a focus on the human experiences and cultural discoveries from the author—both parts enjoyable and humorous. 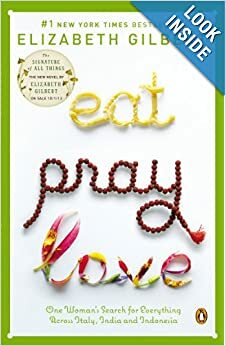 Eat, Pray, Love: One Woman’s Search for Everything Across Italy, India and Indonesia by Elizabeth Gilbert: A personal memoir (and now a Hollywood film with Julia Roberts), this book is a light and easy read — some people hate the narrator, while other women have been truly inspired to take a year off and explore. I found it an enjoyable beach read and far better than the movie. National Geographic Simply Beautiful Photographs by Annie Griffiths: For a dose of photo inspiration, this coffee-table book is stunning and paging through this will spark new ideas on places to travel or volunteer. 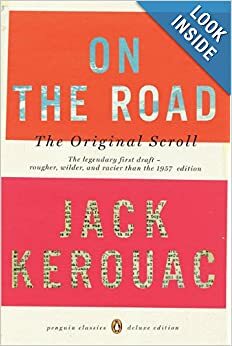 On the Road by Jack Kerouac: Top notch inspirational reading if you’re thinking of heading out on a trip—autobiographical stories from a range of vagabond travelers on their journeys—diverse perspectives on long-term travel. 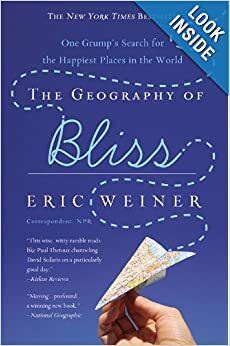 The Geography of Bliss: One Grump’s Search for the Happiest Places in the World by Eric Weiner: A former NPR foreign correspondent, the author travels around the world throughout each country looking for the origins of happiness. 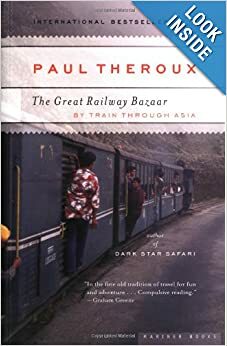 **The Great Railway Bazaar by Paul Theroux: Train-travel enthusiasts most appreciate this fascinating account of the author’s journey across the world, but it’s a fantastic read for anyone planning a trip and looking for itinerary inspiration or even arm chair travelers looking for a well written story. Humans of New York: While not technically a travel book, the way that HONY shares the stories of people and places as changed the way I think about the world. Highly recommend this for travel writers looking to better understand how to engage readers on the human stories behind travel. Book Lust to Go: Recommended Reading for Travelers, Vagabonds, and Dreamers (Kindle) by Nancy Pearl: Wonderful fiction and non-fiction book recommendations from a librarian — surprisingly great resource! Guns, Germs, and Steel: The Fates of Human Societies (Kindle) by Jared Diamond: A thinky read taking a global look at the geographical and environmental factors shaped the modern world. Monsoon: The Indian Ocean and the Future of American Power (Kindle) by Robert Kaplan: A look at how the geopolitical focus of the world in the 21st Century will shift away from the West and toward the countries on the Indian Ocean. 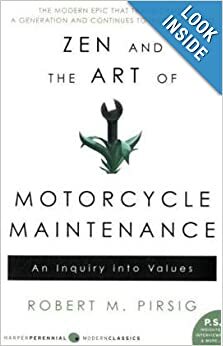 Zen and the Art of Motorcycle Maintenance: An Inquiry into Values (Kindle) by Robert Persig: I read this is college and appreciated more on the road as I was on my own journey. The other nicely unifies philosophy, adventure and mystery into a palatable format and you’ll take even more out of this book the second time you read it. Pirsig’s journey across the United States by motorcycle is not a light read by any means; he delves into questions of sustainability and quality and the US is a mere backdrop to the philosophical musings. The River War: An Historical Account of the Reconquest of the Sudan (Kindle) by Winston Churchill: A historical look at the Middle East situation in the late 1800s. As a continent, Africa has long fascinated me. Evolution points to Africa as a pivotal point in our collective history as civilization. The tribes and people of Africa create a tapestry of culture and humanity unlike any other place on Earth. And with the rampant development issues, human rights, politics, and geopolitics, history, anthropology, archaeology, wildlife, and more—there is much to read about. 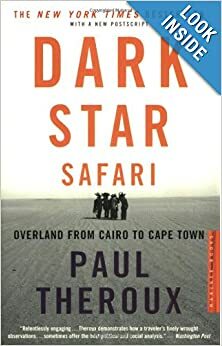 Dark Star Safari: Overland from Cairo to Capetown by Paul Theroux: Theroux paints a picture of an Africa that few will ever encounter and in his classic style weaves the travel narrative with the internal politics and regional history shaping his journey. Heart of Darkness by Joseph Conrad: Not the easiest read out there, but this free (public domain) novella details Conrad’s travels through the Congo with post-colonial insights, politics and attitudes. Out of Africa (Book) and (FILM) by Karen Blixen: A beautiful memoir of Africa at the turn of the century as the author lives and works on her coffee plantation in Kenya – also an intriguing look at the attitudes and colonial policies of British East Africa in the 20s and 30s. 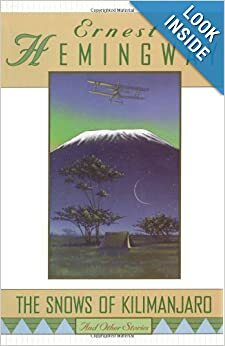 Green Hills of Africa and The Snows of Kilimanjaro and Other Stories (FILM) by Ernest Hemingway: Both good reads and a window into East Africa in the 1930’s along with cultural insights and history set against Hemingway’s own observations in the region. 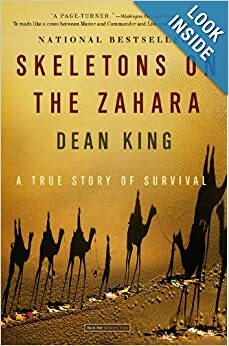 Skeletons on the Zahara: A True Story of Survival by Dean King: A truly fascinating read that dates back to the early 1800’s and sets up a tale of dehydration and slavery when the narrator’s ship runs aground in Africa; ripe with historical information on the region, camel history (and who doesn’t love camels) and an engagingly epic storyline. 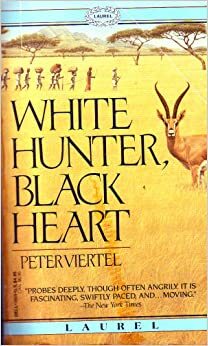 White Hunter Black Heart (FILM) & (BOOK) by Peter Viertel: It’s worth getting the book first on this one before seeing the movie. The book delves into the dark obsession the director of “African Queen” had with hunting elephants, alongside other issues, during the movie’s filming. 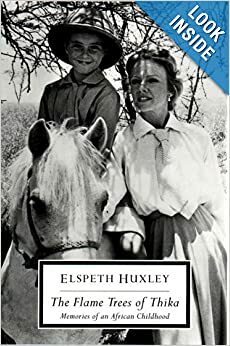 The Flame Trees of Thika: Memories of an African Childhood by Elspeth Huxley: A memoir, Huxley moved from England to Kenya as a mere six-year-old and spent her childhood in Kenya at the turn of the 20th Century. The authors vivid descriptions and creative imagery created a compelling account of the region that has inspired wanderlust in many other children and adults all over the world. 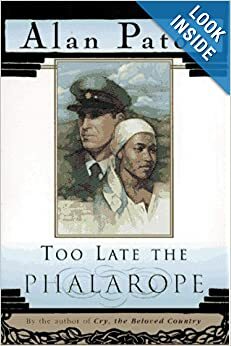 Too Late The Phalarope by Alan Paton: A very human look at the effects of the South African Apartheid through multi-dimensional characters struggling against the segregation and policies in effect during that time. 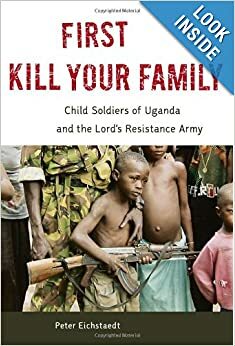 First Kill Your Family: Child Soldiers of Uganda and the Lord’s Resistance Army by Peter Eichstaedt: The author delves into the effects of the civil war in Northern Uganda and sets information and narrative outlining the LRA’s brutal policies in the region against the chaotic refugee camps and some political analysis. The views are Eichstaedt’s own opinions, and thus conclusions controversial when religion comes into play, but one of the few books highlighting the situation contemporary Uganda is facing. My round the world travels kicked off in Australia and it was a wonderful way to start my trip. Though I didn’t do much pre-reading on the region before I left, I made up for that when I landed and scoured the bookshelves for books and films that would give me a good taste of the country’s history. 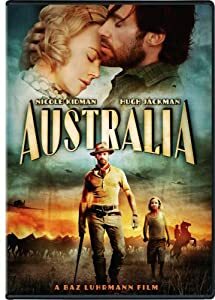 For ease, New Zealand’s books and films are here too, not to imply that visiting one is like visiting the other however, because that is patently false. The Lord of the Rings: The Motion Picture Trilogy (FILM): Beyond just being amazing films and I think you should read the books; each movie is filmed in New Zealand and will inspire some wicked wanderlust for this country after hours of lush green hillsides. The scenery throughout is nothing short of stunning. The Bone People: A Novel: A reader recommended this one and it sounds like a fascinating way to examine the dynamics between Maori and the Kiwis, but wrapped in a narrative that is compelling and interesting to read. Since many travelers do so regionally, I broke this list up into Eastern and Western European countries, and the great books that will help you understand how history shaped not only the country, but the interconnected history many of these countries share with their neighboring countries. Some are fun reads, others take on the more serious moments and wars that led to the people and places you’ll be visiting on your travels through the regions! Balkan Ghosts: A Journey Through HistoryBalkan Ghosts: A Journey Through History by Robert D. Kaplan: Fascinating travelogue and history of the Balkan region as the author delves into the roots of some of the Balkan conflicts and how they are manifested in the modern Balkan states. Black Lamb and Grey Falcon (Penguin Classics)by Rebecca West: Beautiful and lyrical book that combines the author’s travelogue with a history of the region and insights from the region right as World War II began. A compelling way to read about Balkan history though it can be hard to distinguish fact from fiction throughout. The Bridge on the Drina by Ivo Andric: The book is a vivid depiction of the suffering history has imposed upon the people of Bosnia from the late 16th century to the beginning of World War I. It has been hugely well received and will give political insights to the region and Balkan and Ottoman history. See Bosnia for a list of books and media with regional history and stories. A Tramp Abroad (FREE on the Kindle) by Mark Twain: A humorous tail (as you’d expect from Twain) full of anecdotes and observations from the author’s trip to Germany in the late 1800s. Cabaret (Film): Cabaret is the film adaptation of a Broadway musical (adapted from a book); the movie won 8 Academy Awards and is a remarkable, fun and inspiring look at pre-war Berlin in 1931. Goodbye to Berlin by Christopher Isherwood: Isherwood lived in Berlin during the 1920s and 30s and his stories paint an intriguing portrait of a country experiencing the highs and lows, decadence and night clubs and a revolving door of intriguing characters. This book inspired the musical Cabaret. In a German Pension (FREE on the Kindle) by Katherine Mansfield: A collection of short stories, Mansfield lends a thoughtful perspective on Bavaria and even deeper into the German psyche as she describes and analyzes the people and situations around her. Notes from a Small Island by Bill Bryson: Anecdotal and humorous, this is one of Bryson’s best as he journeys across Britain and shares the small town cultures he encounters as well as modern and pertinent insights. This makes a fun and intriguing read that may have you putting some of England’s small towns on your travel itinerary. The Aran Islands (Free on the Kindle) by John M. Synge: The Aran Islands are a fascinating group of islands off of Ireland’s west coast – they remain today a pocket of charming Irish culture and Synge recounts stories and experiences from the islands in early 20th Century. How the Irish Saved Civilization by Thomas Cahill: Could be because I’m Irish, but I really enjoyed this read about the untold story of Ireland’s heroic role from the fall of Rome to the rise of Medieval Europe and the case made for Ireland’s preservation of knowledge through the Dark Ages. Dancing at Lughnasa: A Play (FILM) by Brian Friel: This is a play rather than a book, and offers rich dialogue you can hear nearly pop off the page. I have not watched the movie, but highly recommend hunting down this short play. Naples ’44: An Intelligence Officer in the Italian Labyrint by Norman Lewis: A beautiful portrait of what Naples looked like in the mid-forties where Lewis was stationed as a part of the army. Under the Tuscan Sun (FILM) and (BOOK) by Frances Mayes: Fun and falls into the category of chick-lit, but gorgeous description of Tuscany and will make you wish for a summer in the golden Italian countryside as well! Vroom With A View by Peter Moore: A whimsical and inspiring journey through Italy via Vespa in the 60’s – it’s a fun journey and will get you prepared to travel Italy! Ghosts of Spain: Travels Through Spain and Its Silent Past by Giles Trimlett: This book stands out as a unique combination of Spanish history alongside Trimlett’s travel narrative. The book explores modern social, cultural and political history as well anecdotal nuances into modern Spanish society. Spain: A Traveler’s Literary Companion: Travel through Spain with all the prominent writers and poets of the past with this intriguing book. The book takes the reader on a tour (you should be touring with it) of places and people, told with wit and humor and a unique way to experience the country. The Shadow of the Wind by Carlos Ruiz Zafon: This book hit the bestseller list in Spain, and for good reason. Set in 1950s Barcelona the novel excels in storytelling and leading a reader through an experience, not just a book. The main character selects a book to protect from extinction, then faces off against other characters to ensure the words remain despite zany other characters and plot twists along the way. The Middle East is the cradle of civilization; the region is the seat of many major world religions, and a hot-bed of current turmoil in certain areas. Though I have only traveled to Jordan, it fascinates me to learn more about the factors that continue to shape the food, culture, history, and politics of the Middle East. The Road to Oxiana by Robert Byron: A truly fascinating journey through the Middle East in the 1930’s. The author traveled at a time before Western tourists were traveling the region and provides compelling observations and some of the most intriguing accounts of Persia, Afghanistan, and Teheran as Byron traveled toward Oxiana. Arabian Sands (Penguin Classics) by Wilfred Thesiger: Thesiger spends five years traveling through the most remote Arabian desert regions and shares the stories, history, and challenges of tribes and friends he met along the way. A Thousand Splendid Suns by Khaled Hosseini: A unique and fascinating view of Afghanistan from the perspective of two generations of women trapped in their marriages and their cultural constraints. *The Kite Runner* by Khaled Hosseini: A heartbreaking fictional story set in the real-life political turmoil in Afghanistan. Hosseini paints a fascinating picture of modern Afghanistan with the main characters struggles with familial and cultural obligations. Three Cups of Tea: One Man’s Mission to Promote Peace . . . One School at a Tim by Greg Mortensen & David Relin: A moving and personal account as Mortensen spends years finding funding opportunities and support for his work building schools in rural regions of Afghanistan. Insights into the entire Middle Eastern region and culture (and all of this stands despite the current controversies, it’s a worthwhile and moving read). A Short Walk in the Hindu Kush by Eric Newby: Surprisingly humorous, the author chronicles his journey climbing one of the most difficult peaks in the world. Saved by Beauty: Adventures of an American Romantic in Iran by Roger Housden: A recent and touchingly personal look at a traveler’s journey through this misunderstood country. Housden touches on culture, politics and everyday life in Iran. Asia is an enormous region of the world. I have traveled extensively in this area of the world so there are a lot of options, some are quirky ones I found by chance on bookshelves or were passed on to me by other travelers and thus I pass on the recommendation to you now. The Beach (Book) (FILM) byAlex Garland: Now a major movie as well, the author backpacks through Southeast Asia, and Thailand in search of paradise. It’s a classic read for gap-year students heading this way and for good reason – by the end you’ll be ready to book a ticket to Asia! Finding George Orwell in Burma by Emma Larkin: A detailed and thorough look at Burma throughout the past decade and the politics that have shaped the country. Book enthusiasts will thoroughly enjoy Larkin’s literary analysis of Orwell’s works and the interplay with Burmese culture and history. Land of a Thousand Eyes: The Subtle Pleasures of Everyday Life in Myanmar by : A quirky first person narrative about a journalist’s year spent in Burma in the mid-90s. The narrator is easy to hate yet you keep reading anyway for his insights and perspective on the country. Catfish and Mandala: A Two-Wheeled Voyage Through the Landscape and Memory of Vietnam by Andrew X. Pham: The author journeys through his Vietnam, searching down his roots and heritage by bicycle. Seven Years in Tibet (BOOK) and (FILM) by Heinrich Herrer: This book was made into a film for a reason – it’s an amazing story of a Austrian explorer’s journey from India into Tibet and the Tibetan culture and challenges while Tibet was still unoccupied. Balzac and the Little Chinese Seamstress: A Novel by Dai Sijie: A touching novel that pulls you right into China’s Cultural Revolution and the impact it had on the country. Enjoyable and insightful, a light and fast read. The River at the Center of the World, Revised: A Journey Up the Yangtze, and Back in Chinese Time by Simon Winchester: An intriguing look at modern China with beautiful narrative descriptions as the author journeys up the Yangtze River and shares cultural observations, some modern politics, and insight. 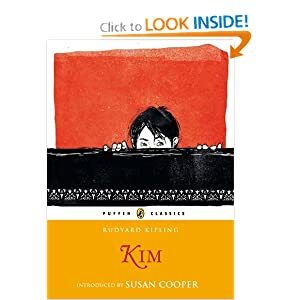 Kim (Kindle) by Rudyard Kipling: An old classic and a very spiritual and moving tale taking place across India. The imagery immerses you within the story of a boy, Kim, who travels across India with his guru. A Search in Secret India by Paul Brunton: A wonderful spiritual journey that has been popular for decades, and for a reason. The book introduces many aspects of Indian spirituality and life that others may not, and is a great read. Shantaram: A Novel by Gregory David Roberts: A popular read for India-bound travelers – the book is quite thick and details the elaborated memoirs of the author as he escaped prison in Australia, fled to India where he found himself as a doctor in the Mumbai slums and involved in the Indian mafia. It’s a page turner, a fun read, and provides an intriguing perspectives on underground India. *The God of Small Things* by Arundhati Roy: This comes highly recommended for all India-bound travelers. An atmospheric book that takes you right into the sweltering heat of Southern India, the culture, the landscape and the people. Holy Cow: An Indian Adventure bySarah MacDonald: A much lighter read than the others on this list, it’s still a fun read as the author recounts her often humorous encounters and internal growth that a year of living in India foisted onto her. Midnight’s Children: A Novel by Salman Rushdie: Rushdie is the Allende of the East and this book delves into magical realism as the author explores politics and culture in post-colonial India. *The White Tiger: A Novel* by Aravind Adiga: A favorite read for me; Adiga’s novel paints a picture of two very different Indias–the crushingly poor and the rising global middle class. The story sheds light on India’s cultural dynamics, globalization, and politics, and the mess theses elements are causing in modern India. It’s also a very quick, easy read. *Memoirs of a Geisha: A Novel (FILM)* by Arthur Golden: A stunningly lyrical and evocative portrayal of one of Japan’s most celebrated geisha’s. The book left me wishing and hoping it was non-fiction, rather than a well-researched and authentic novel giving a window into the intricate workings of the 1930s Japanese geisha culture. And the film adaptation’s cinematography alone is worth watching. Into Thin Air: A Personal Account of the Mt. Everest Disasterby Jon Krakauer: Haunting account of the author’s ascent of Mt. Everest in March 1996 on the day a massive storm hit and took the lives of several of his traveling companions. Not indicative of all treks in the Himalayas by any means but compelling storytelling centered on Nepal nonetheless. The Snow Leopard by Peter Matthiessen: The author hikes deep into Tibetan regions of the Himalayas in search of a rarely spotted type of snow leopard. Beautifully written narrative account of nature and the journey – pick up a copy before you leave because it’s hard to find on the road! The Violet Shyness of Their Eyes: Notes from Nepal by Barbara J. Scot: Much more than the travel narrative it’s billed as, the author, a Westerner teaching in remote Nepal shares insights on how Western culture is affecting Nepal – and her opinions are far from mainstream, but you’ll find yourself agreeing most of the time. From Goddess to Mortal by Rashmila Shakya: The Royal Kumari is an absolutely fascinating part of modern Nepal religious beliefs. In this autobiography, the author details her early years as a living Goddess living at a temple in Kathmandu; after six years, however, she went from Goddess back to mortal. Intriguingly innocent as the author first experiences the attention of being Nepal’s one living Goddess, contrasted sharply with her life post-Kumari status. Unique cultural insights abound! Central America has a rich living history with the Mayan culture still very strong in Guatemala and nearby areas. Add to that stories of the Aztecs, the charming Spanish colonial towns, and a generally unified single language throughout the region and you have one of my favorite places to travel. Genesis: Memory of Fire (Memory of Fire Trilogy) by Eduardo Galeano: Perhaps the most popular read for travelers to Latin America; the author is highly talented and nearly any of his books will propel you into critical thinking as you consider policies, politics, and the history in the region woven into a compelling read. Popol Vuh: The Mayan Book of The Dawn of Life and The Glories of Gods and Kings (Kindle Edition): If you read one serious, non-fiction book on the Central America travel book list, make it this one. The book really is the definitive guide to Mayan history and beliefs and reading this before you leave, or while on the road will propel you that much deeper into the many Mayan temples you’ll visit while traveling Central America. Time Among the Maya: Travels in Belize, Guatemala, and Mexico by Ronald Wright: Descend into the Mayan culture throughout Mexico, Belize and Guatemala in this travel narrative that dives deep into the regional culture, ancient Mayan beliefs about time, as well as a look at modern Mayan culture. The House of the Spirits: A Novel by Isabelle Allende: This novel gives voice to the region with a unique flavor. Far from historical, instead read this for ventures into magical realism, Latin American family dynamics, regional political commentary, and a beautifully engaging story. Es Cuba: Life and Love on an Illegal Island by Lea Aschkenas: Aschkenas fell in love with a Cuban man and moved to Cuba – as an American, her attempts to understand her new home and the nuances of Cuban culture lead to a passionate and thoughtful memoir about Cuba. Our Man in Havana: An Entertainment by Graham Greene: A fictional novel, the book satires the Bautista regime that preceeded Castro and provides beautiful reflections on a long-gone era in Cuban history. The Brief Wondrous Life of Oscar Wao by Junot Diaz: A novel blending complicated family politics, significant events in Dominican history, and a compelling plot-line, this book is a thoroughly enjoyable read. *In the Time of the Butterflies* by Julia Álvarez : A historical novel blending history and the true story of the Mirabel sisters, “Las Mariposas” and their fight against the Trujillo dictatorship. These four sisters worked in the underground to overthrow Trujillo and three of the four were murdered shortly before the dictatorship ended. On Mexican Time: A New Life in San Miguel by Tony Cohan: The authors personal story spans his decade of living and traveling throughout Mexico – full of warm stories and welcoming characters alongside serious perspectives about Mexico’s rapidly disintegrating culture in the face of more and more Western influence. True Tales from Another Mexico by Sam Quiñones: More recent than much of the travel literature about Mexico, the portrait Quiñones shows a side of Mexico we dissociate from when we see drug trafficking reports on the news. The authors voice is quirky and relatable with humor and anecdotes woven throughout the story. Ya Basta! Ten Years of the Zapatista Uprising by Subcomandante Insurgente Marcos and Ziga Vodovnik and others: An amazingly comprehensive collection of essays and communiqués written by Subcomandante Marcos. Learn more about the Zapatista movement and uprising in Chiapas as local indigenous cultures fought back to reclaim land, culture, and recognition. Friends have recommended these books to me, and several I have read, so although I have not yet visited South America, I am ready on the understanding front. I believe that learning about the cultural nuances, and the history that shapes a country and region is one of the best gifts we can give ourselves before traveling–it allows for more informed and considerate travels, as well as a deeper experience in the country. Chronicle of a Death Foretold by Gabriel García Márquez: By far one of my favorite Latin American novelists, all of Márquez’s works are worth reading. I enjoyed this short novel, the time jumps, characters an, narrative voice and cultural familial interactions act as a gateway to the region. 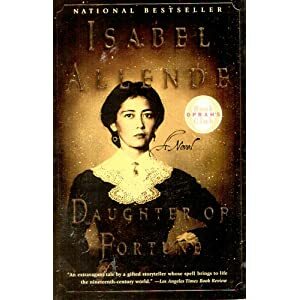 Daughter of Fortune by Isabelle Allende: A well researched work of fiction about an orphan raised in Chile. As is normal for Allende, the literary voice is beautiful and the journey profound. Lost City of the Incas by Hiram Bingham: Reader recommended book and it sounds fantastic. Bingham was a South American explorer in the early 1900s and he rediscovered Machu Picchu, among other sites. Marching Powder: A True Story of Friendship, Cocaine, and South America’s Strangest Jail by Rusty Young & Thomas McFadden: An endlessly readable first-hand account of the McFadden’s time in a La Paz prison for cocaine trafficking. Young, a backpacker intrigued by McFadden’s story petitions for his release. Put this high on your list for insight into all of South America’s drug culture and more importantly a dizzying look at Bolivia’s internal dynamics. America’s Other War: Terrorizing Colombia by Doug Stokes: A must-read for Americans prepping for travel to this country; the book details American policies toward Colombia, and more importantly the effect it has had on Colombia. Insight and controversy abound, read and form your own opinions, although it’s a dry read and very anti-American policies, it’s worth hearing the other side. Killing Pablo: The Hunt for the World’s Greatest Outlaw by Mark Bowden: Brush up on your knowledge about Pablo Escobar or you won’t particularly understand a some of the chatter once you land. This work details the riveting ups and downs to Escobar’s life as Colombia’s greatest drug lord of all time. One Hundred Years of Solitude by Gabriel García Márquez: Márquez’s most celebrated work, I have enjoyed nearly everything from this author. This book is set in a fictional Colombian town, delves into magical realism, and Márquez gives a beautiful voice to South America and a wonderful introduction to the region. At the Tomb of the Inflatable Pig: Travels Through Paraguay by John Gimlette: A humorous history of the wars, rulers and political dynamics that have shaped modern Paraguay. In Patagonia byBruce Chatwin: The authors six month journey through Patagonia to the southern most tip of South America—some of the events described are controversial claimed to be fictionalized, but even so, it’s a compelling read of the characters Chatwin meets traveling the region. Among the Russians by Colin Thubron: The author shares his compelling road-trip through communist Russia, Siberia, Georgia, Armenia, and along the Silk Road. His journey is both parts insightful and educational as the reader is taken through how history has shaped this region of the world. The Moviegoer by Walker Percy: The novel takes place in post-war New Orleans and to start and then wanders the United States as the character searches for some unknown. While falling into the camp of an existentialist novel, it bridges the gap from esoteric into an enjoyable read. 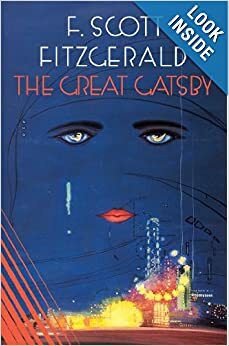 The Great Gatsby by F. Scott Fitzgerald: A deceptively simple story line weaves together one of the most fascinating eras in American history—the roaring 20’s jazz age with an almost love story. Fitzgerald’s mastery of the English language create an evocative portrait of the American Dream, beautifully written, thematically solid from a literature point of view, and a piece an insight into American culture. 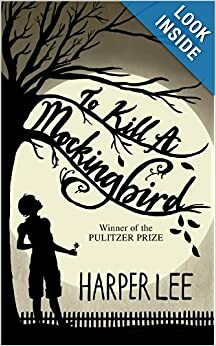 To Kill a Mockingbird (FILM) by Harper Lee: A standard read for high schoolers in America, if you’re traveling to the country, particularly the south, read this book for some insight into the racial tensions and transitional policies in the American South during the mid-60s. 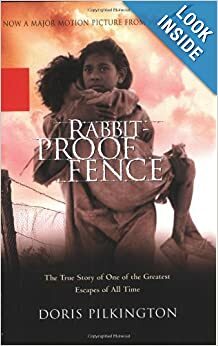 The story is told from the perspective of a child, but explores some much large themes. Also, a film rarely does a book justice, but Gregory Peck’s performance, alongside young Scout, the narrator, stand out in American cinematic history. 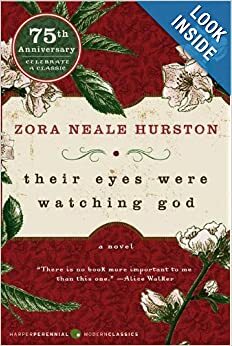 Their Eyes Were Watching God by Zora Neale Hurston: Set in rural Florida, Hurston’s novel is controversial because of her choice to use local black dialects from the time (much like Tony Morrison’s novels). 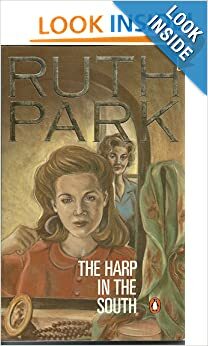 The novel delves into black African American culture in a way unlike any other writer, not from the racial black-white perspective, but instead through the eyes of her characters, who happen to be black and southern. 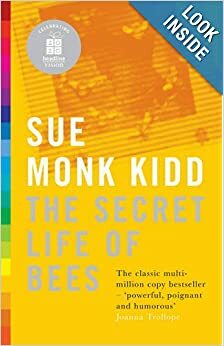 The Secret Life of Bees film (BOOK) by Sue Monk Kidd: A very light and easy read, this novel tells a sweet story of a young white girl who finds a family and a life with an eccentric black family, a recipe for tension in South Carolina in the 1960s. Wonderful list! We came from trans-Siberian tour couple of months ago and it was a blast! I feel like that culture is my true culture, they’re honest and warm people, I love that about them. Guys from Travel all Russia suggested me couple of books and movies to help with the nostalgia, so your list will definitely help me too! What a great list – I will add quite a few of these to my “to read” pile! I would suggest to add “Watching the English” by Kate Fox for UK – a great and funny book about English culture and their habits and etiquette. For China – The Good Women of China by Xue Xinran is a very sad, but fascinating book of true stories about life of different women in China in 80’s. And for travel around the world inspiration fantastic read is Jupiters Travels: Four Years Around the World on a Triumph by Ted Simon. Thanks for sharing and weighing in — both are great books and sound wonderful. Consider adding “Blue Highways” from William Least Heat Moon and/or “Zen and the Art of Motorcycle Maintenance”. Both are top notch road trip/self discovery books. I enjoyed your well selected list. Some of my favorites include stories written by Pearl S Buck about China, Shogun (and others James Clavell wrote) about Japan and of course many by James Michener. What were your niece’s favorite reads on the road? We will be leaving for our year around the world on about a year and will have our 11 and 8 year olds in tow. Would love her recommendations! fantastic read for the solo traveler. PS. Keep up the great work! I just read “Across Patagonia” by Lady Florence Dixie written in 1880. It’s good and you can read it for free on Google Books! Awesome… This is a really good compilation. For India, you can also read and add the following 2 books of William Dalrymple – The City of Djinns and 9 Lives. I’m so happy I found this list. I always like to read a book related to the country I’m visiting but it’s not always easy to find books with the proper location quickly. What a comprehensive list! Can I nominate “The Hidden Europe” for the Eastern Europe category? At 736-pages, it’s the most comprehensive Eastern European travelogue. Wow, somehow missed this comment a few months back, but thanks for sharing your book rec, and it will definitely be added to the list asap! (And I’ll add it to my huge list of “to be read in the future” books :) Cheers and thank! Great lists Shannon and all of them is great..Thank you for sharing the books. I want all of them specially the book of from Spain. Truly rich in culture and I would like to discover more from them.